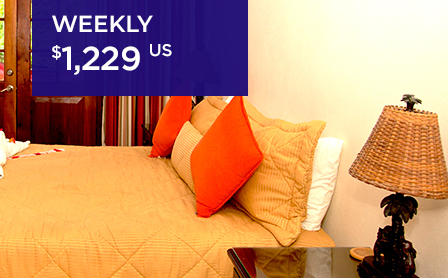 The property offers an array of accommodation choices including six 4 bedroom townhouses and six 2 bedroom apartments. CHILLIN’ is located in a quiet neighborhood known as Old Fort Bay just outside of Mammee Bay, St. Ann. This area boasts one of the most breathtaking stretches of white sand beaches in Jamaica. The picturesque townhouses and apartments at CHILLIN are casual yet elegant with luxury finishes including granite countertops in all kitchens and bathrooms, wood molding and skirting, polished chrome hardware and much more. 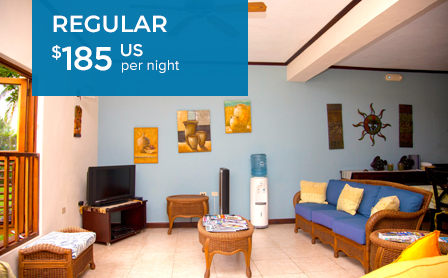 Colourful, spacious and beautifully appointed, CHILLIN allows the entire family to enjoy the comforts of a 4 star experience while retaining that authentic Caribbean cottage feel. Everything was top notch, we loved the convenience and security we experienced. Our housekeepers were great and cooked some unusual Jamaican fare, especially fish for breakfast. Everyone on the property was cordial and helpful. We could not have had a more delightful time. Thanks for your help in making this a great holiday.